P resented here is a short translated excerpt entitled ‘There is no king but Allah’. This is taken from chapter six (Significant issues concerning Ruling in Islam) from the book entitled Ḥakimiyah & the Sovereignty of Sharī’ah by Professor al-Mas’ari. There is a substantial number of evidences from the Prophetic Sunnah that discuss matters pertaining to kingship/monarchy, ruling, and the political trajectory of the Muslim Ummah. The article therefore begins by examining the ḥadith that talk about kingship in general, thereafter examining the issue of kingship as it emerged for the Children of Israel. What is also noteworthy, is how the Prophet (peace be upon him) himself interacted with the rulers of his time, as well as the understanding that he bequeathed to him companions. Each of the narratives that detail this are set out and evaluated in turn. 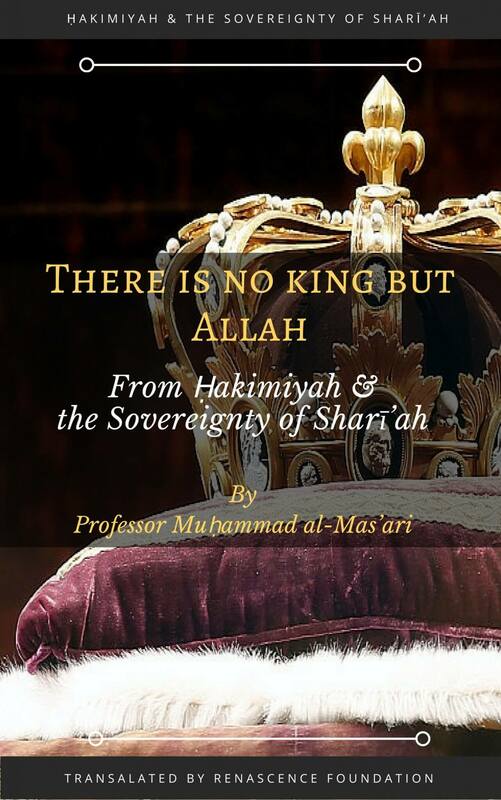 Given that kingship has been a pervasive feature of political ruling within the Muslim world for many centuries now, it is imperative that the evidences from the Prophetic Sunnah are re-looked it.